1) Why this book for kids on such a frightening topic? Because we are surrounded by troubling images of Terrorism in all forms of the media, children are exposed to graphic material on so many levels. The bits and pieces of information they gather can be at the very least, confusing, while at the other extreme, traumatizing and emotionally wrenching. Having worked with young children both in school and in my private practice, I am seeing vast increases in the levels of anxiety kids that experience daily. Children are often frightened by the unknown and that which they do not understand, especially in the context of emergency situations. Even the most resilient child is likely to be reactive when he sees his parents showing fear or alarm. By filtering and synthesizing these current events, we, as adults, can choose that which we wish to share. Never before have parents had to grapple with explanations of this sort, and never before have they had a guide book available to assist in the process. 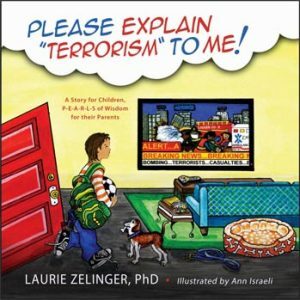 This book was written to help explain the proliferation of Terrorism references and events to children in a way that could be understood at their developmental level. The use of recognizable details in everyday is grounding and cuddles them in familiarity. Then gently, simplistically and without prejudice, honest information is introduced and integrated into a framework. This reassuring approach helps youngsters grasp a disturbing concept without a consequent rise in fear, and helps parents figure out how to deliver a difficult message. 2) Do you feel your book is appropriate to be taught to kids at home or also in the classroom? 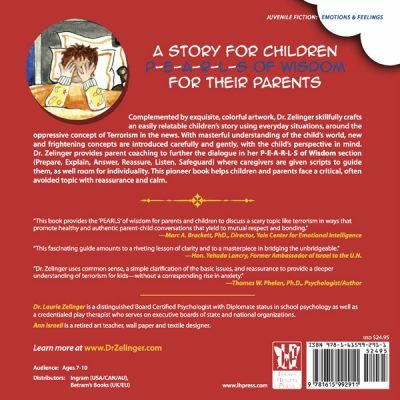 My book is intended to read by caregivers and children together, so that children are nestled by the adults they trust as they are introduced to a frightening concept. The P-E-A-R-L-S section permits a parent to individualize their information, consistent with their family values. 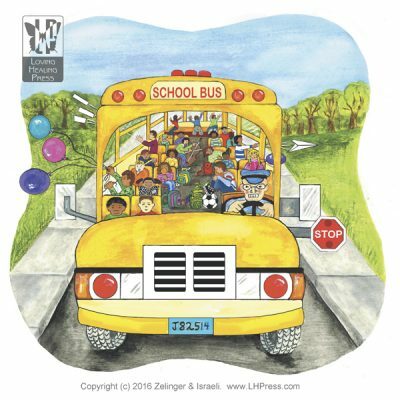 While it can certainly be appropriate for reading in school, the teacher would need to take particular care to remain neutral and non-judgmental so as not to impose personal values upon his/her students. I would also suggest that teachers inform parents of the reading activity in advance, as it is likely to spark discussion and memories of prior events which may seek expression by the students. Because teachers spend so many hours with children on a daily basis, questions are likely to arise in that setting. Furthermore, practice drills in school tend to spark related discussion in the moments surrounding the drill. 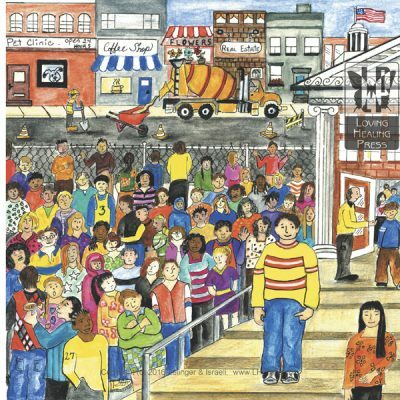 If a teacher has read the book to her class, her students gain the confidence that she is someone they can approach with questions or concerns. 3) Have you found that school lockdown drills increase or decrease children’s feelings of anxiety in the classroom? Why do I think it is that way? 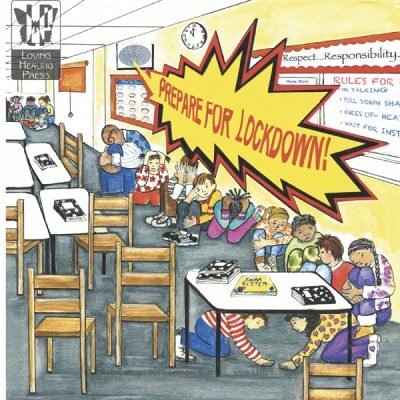 While lockdown drills don’t have the same auditory bell or alarms that precede fire drills and fast exits, they are much less frequent and carry a certain level of mystery and respect that command attention when they are announced. Children are required to remain silent for several minutes, a difficult task for some and require that they are very much ‘in the moment’. When schools first began to practice these drills years ago, staff were just figuring it out and children seemed more anxious. By now however, children who have been in school for at least a few years have become more accustomed to the procedure, and no longer appear to feel as anxious as they did when this was all new. Within a short time after a lockdown, most children are back in their routine, without any lasting effect. Children understand that these drills are a way to practice being safe. 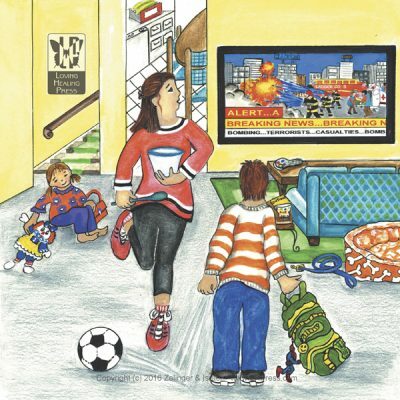 Each of my books draws upon my experience as a mother and psychologist. When I wrote a book for American Girl (A Smart Girl’s Guide to Liking Herself-even on the bad days) my challenge was writing in the voice that was consistent with their brand. My books for Loving Healing Press presented different challenges. The O My in TonsillectOMY & AdenoidectOMY: How to Prepare Your Child for Surgery required a lot of medical research while Please Explain Anxiety to Me! drew upon my background as a clinical psychologist. 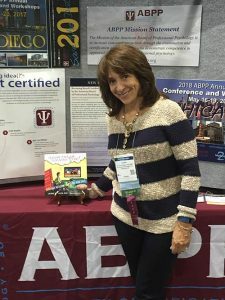 My chapter on selective mutism in “School-Based Play Therapy” emerged from my personal experience as well as my years as a school psychologist and play therapist, but Please Explain Terrorism to Me: A Story for Children, P-E-A-R-L-S Of Wisdom for Their Parents was created based on the impact of critical events making their way into our day-to-day lives. The frequency of mass casualties and the unavoidable blasts of media coverage have created a new norm for families. While many mental health organizations have created informational sheets for parents, there was a dearth of material aimed at a child’s level of interest. I wrote this book as a first step in closing that gap. 5) What types of symptoms are most common among children who have been exposed to terrorism by media coverage or through the word of mouth? Literature points to symptoms of anxiety and at times depression, when children grapple with uncertainty, separation from their parents, trauma or feelings of possible victimization. While each child may experience a unique constellation of symptoms, often sleep disturbances prevail, as well as a need to stay close to their parents and monitor their whereabouts. You might notice preoccupation with certain thoughts, increased questioning or need for reassurances (which may not always work), loss of interest in usual activities and irritability. Concentration and school performance may suffer while somatic complaints may rise. The child who has already experienced some sort of trauma or who may be suggestible and vulnerable to anxiety, is the one who may be most tethered to the emotional impact of the images and stories portrayed in the media. These children, expectedly, could be most symptomatic and would require more support.